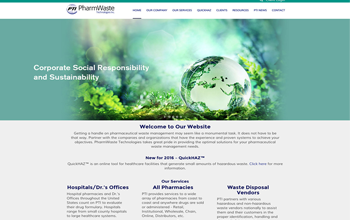 PharmWaste Technologies, Inc. (PTI) is a privately held corporation committed to providing solutions for your pharmaceutical waste management needs. Incorporated in 2007, PTI has been assisting customers to achieve their pharmaceutical waste compliance goals on a national basis. 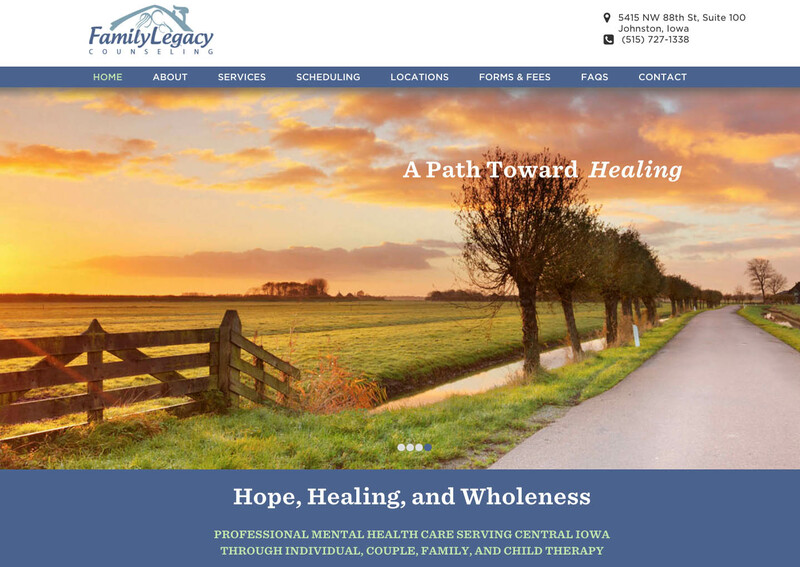 Family Legacy Counseling is a faith-based counseling business based in Johnston, Iowa. Although the existing website was reasonably well designed, it lacked web usability and resulted in poor user experience. The project scope was driven by two key factors – Exceptional user experience and clean design. 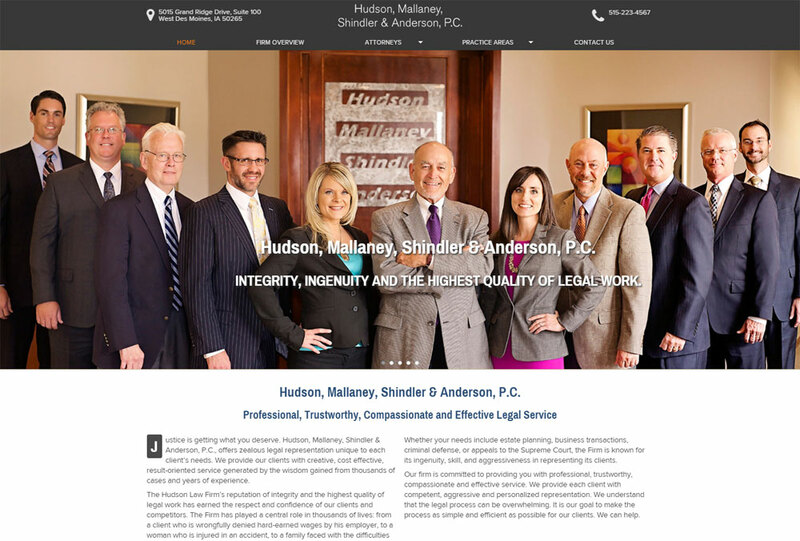 Hudson, Mallaney, Shindler & Anderson, P.C., is one of the largest family law firms in Iowa. Their old website was developed by FindLaw but it was just like any other law firm website. Hudson law firm needed a site to showcase their expertise, reputation, integrity and the highest quality of legal work has earned respect and confidence of their clients and competitors. 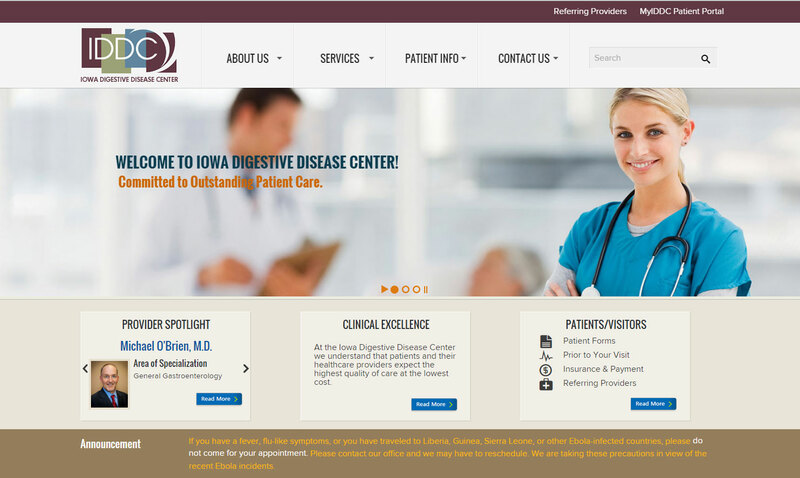 Iowa Digestive Disease Center offers one of the most comprehensive diagnoses and treatment options for the full spectrum of gastrointestinal (GI) diseases and disorders. IDDC needed a design refresh to reflect current service portfolio and to establish itself as a premier healthcare provider in digestive care. The second piece of the puzzle was to enhance the usability of the current website so that patient can find information online instead of calling the office for simple questions. IDDC also needed a better integration of its centers of excellence in the new design.